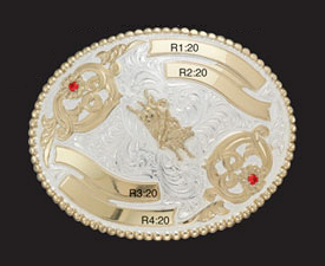 MF-COB031-2R Custom Order Crumrine® Engraved Trophy Buckle - Oval - Gold Plated Event Figure - 4 ribbons - 3-1/2" x 4-1/2"
Custom Order Engraved Hand Crafted Oval Trophy Buckle, Silver Plated, 3-1/2"" x 4-1/2"
What makes genuine Crumrine® products better? Choose Custom Engraving or choose "No Engraving Required" and have an experienced local engraver engrave it for you. Crumrine's Custom Engraving consists of block, deep cut letters that are accentuated with an enamel fill. Standard enamel fill colors are: black, blue, red, green and turquoise. The buckle ribbons are designated on the image a R1, R2, R3 etc. The number after the ribbon designation is the maximum number of characters permitted in that ribbon. R1:35 designates that ribbon R1 can have a maximum of 35 characters. R3:8 designates that ribbon R3 can have a maximum of 8 characters. Add the information below that you would like custom engraved into the "Ribbon R1" Text Box, 20 maximum. Add the information below that you would like custom engraved into the "Ribbon R2" Text Box, 20 maximum. Add the information below that you would like custom engraved into the "Ribbon R3" Text Box, 20 maximum. Add the information below that you would like custom engraved into the "Ribbon R4" Text Box, 20 maximum. Spaces, periods (. ), apostrophes ('), quotation marks ("), hyphens (-), etc. do count as a character. Count the number characters and place the number into the "Number of Characters" Text Box (80 total maximum). Choose "Custom Engraving" from drop down. A Flat Fee of $40.00 is charged for Custom Engraving up to 80 Characters maximum total. We will verify the character count and will send an additional e-mail to you for you to confirm before we will proceed with any engraving. 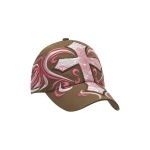 Choose the color of the engraving enamel fill from the "Engraving Enamel Fill Color" drop down. Please allow 10 - 12 weeks for delivery of this Custom Order custom engraved buckle. 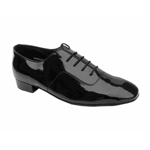 Buckles that are "Custom Order" are non-returnable and requires full payment at time of order placement. Lifetime Warranty against manufacturing defects. Please contact us for further details and limitations. Any Crumrine Event Figure Motif's can be chosen in place of the event figure shown. If the "Bullrider" Event Figure is chosen (as shown in the images) then we will supply Item No. MF-C10756 whcih is the same. Choose from the "Custom Order" dropdown if a Custom Order Buckle is required or not. 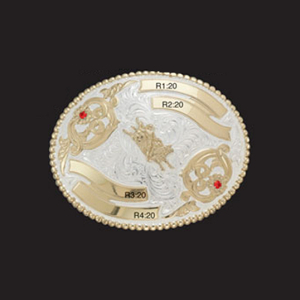 Choose a Gold Plated Buckle Event Figure of Your Choice - Over 100 Event Figures are available. To view photographs of the Crumrine Buckle Event Figures please click here. Pricing is the same as shown. There is no additional charge for "Custom Order". 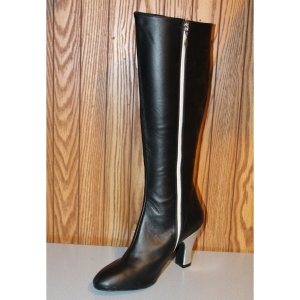 "Custom Order" buckles are non-returnable and requires full payment at time of order placement. Custom Ribbon Engraving is extra with prices as shown.